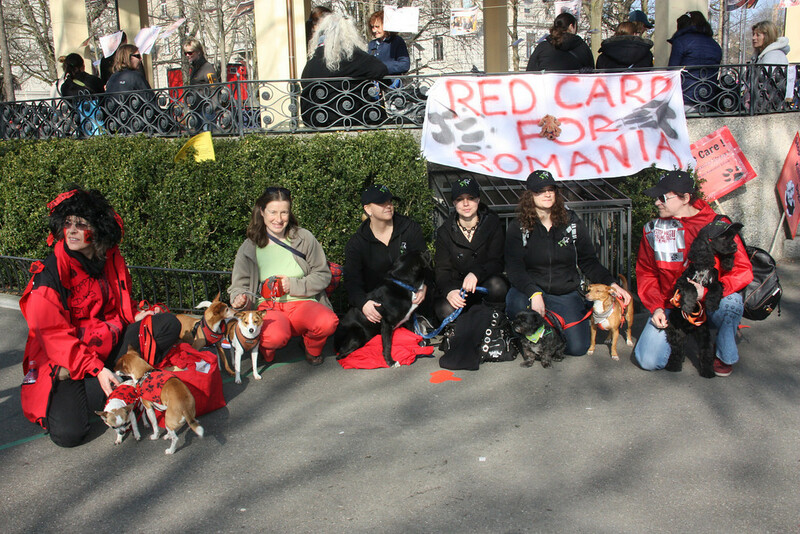 Last weekend people gathered in cities all over Europe to show a red card for Romania. 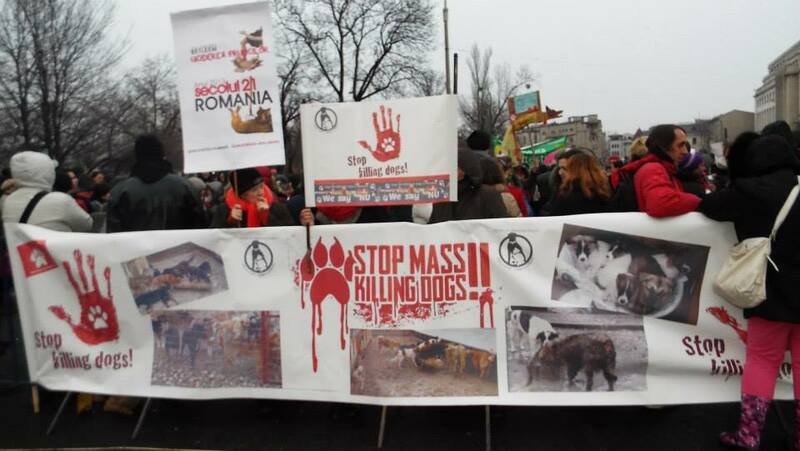 We demonstrated around Europe with one message – stop killing dogs! Every major city, from London, to Vienna, to Frankfurt demonstrated. 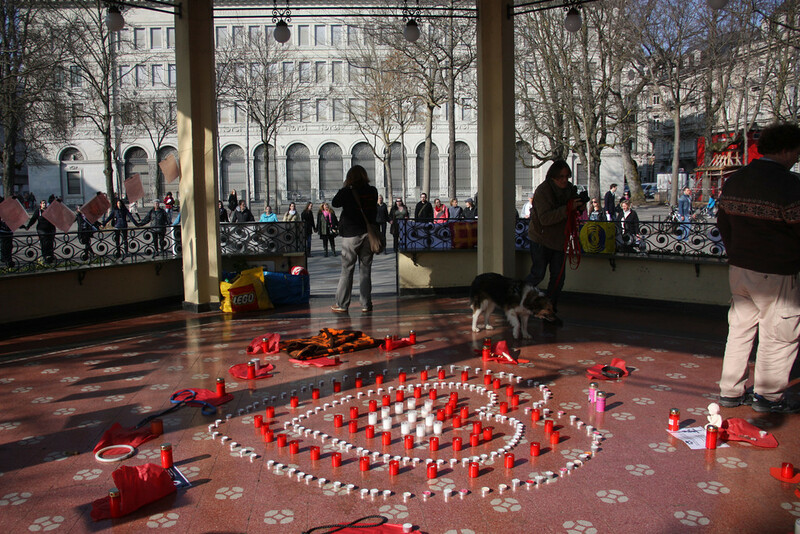 Hope for Romanian Strays were there in Bucharest, and our supporters were there across Europe, joining hands with other organisations like Four Paws and other rescuers to take a stand against the slaughter and the inhumanity. We stood shoulder to shoulder together and demanded with one voice that Europe take note. 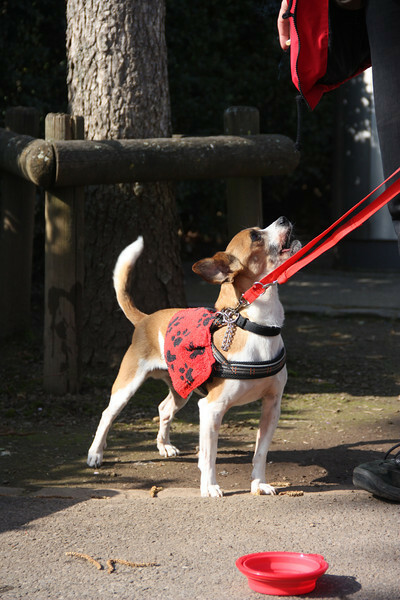 We demanded that Europe listen and finally stand up for EU law and the rights of animals. 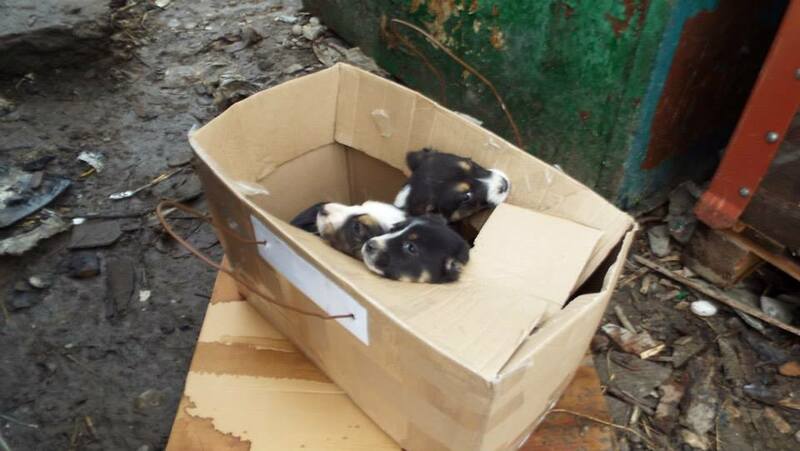 We demanded that the brutality and the massacre of dogs in Romania stop and that Romania finally accepts responsibility and starts acting in a humane, and accountable way to deal with the stray dogs – through mass neutering programs and not through battering and gassing dogs to death. pocket the money designated to spay the dogs. This anger is also against EU politicians who do nothing despite the thousands of names on petitions and direct requests to step in. 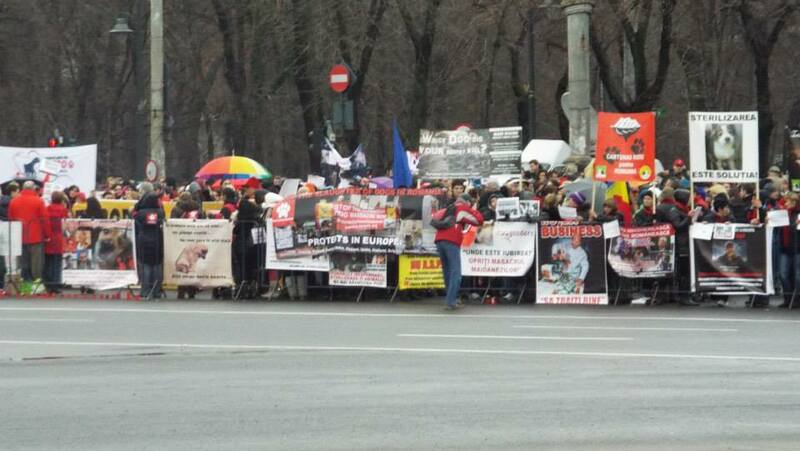 The actions in Romania are for the most part against EU law and we were also demonstrating to demand that the politicians who our taxes pay for finally stand up and uphold the law in the EU that should protect animals. 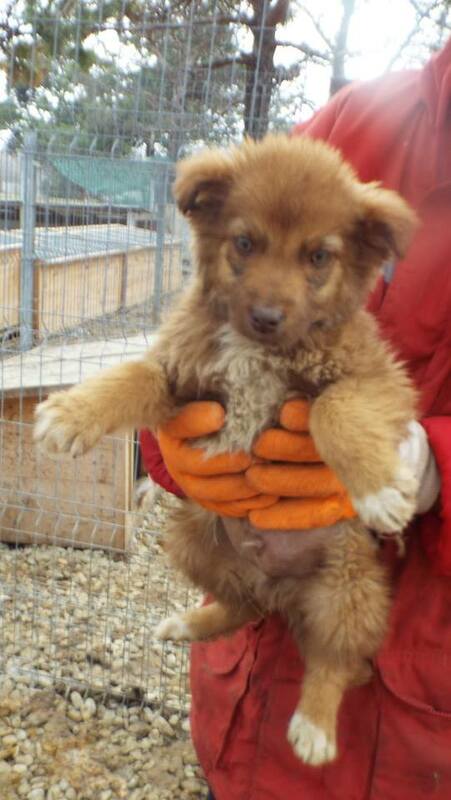 No EU country should be able to beat dogs to death en masse – this is just plain wrong and unethical. The size of the demonstrations also varied, with a large demonstration happening in Bucharest, home of all the horror, and smaller ones with sometimes just a few people such as in Stockholm. 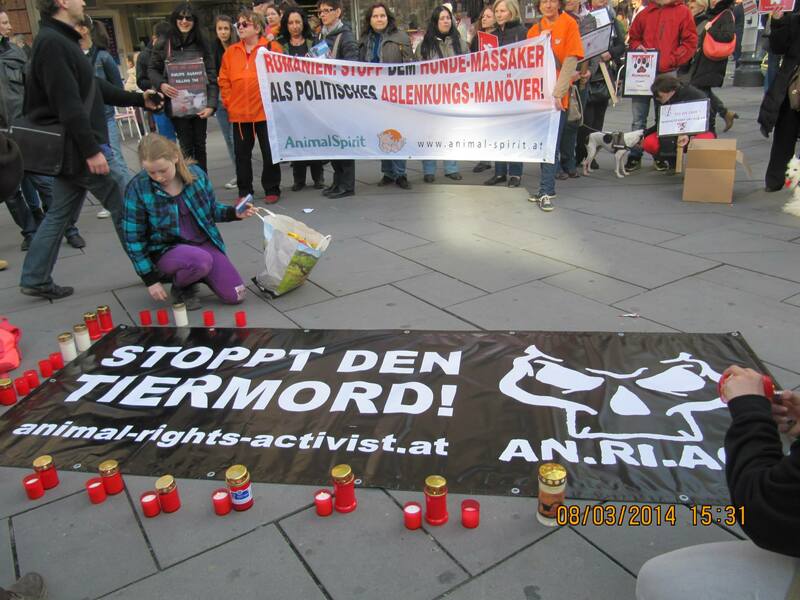 In Zurich there were over 100 people, and we formed a circle of hands to physically show our solidarity. 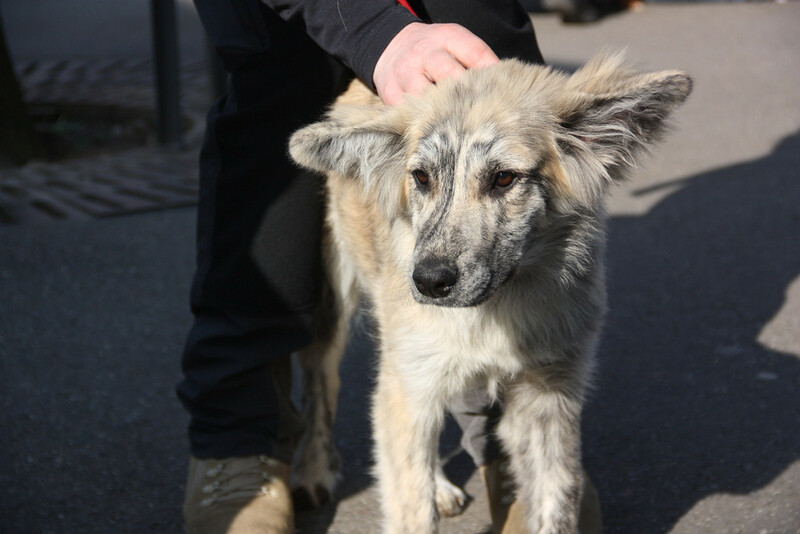 Photos were taken across Europe and sent back to our Romanian rescuers to give them hope that they are not fighting this battle alone. 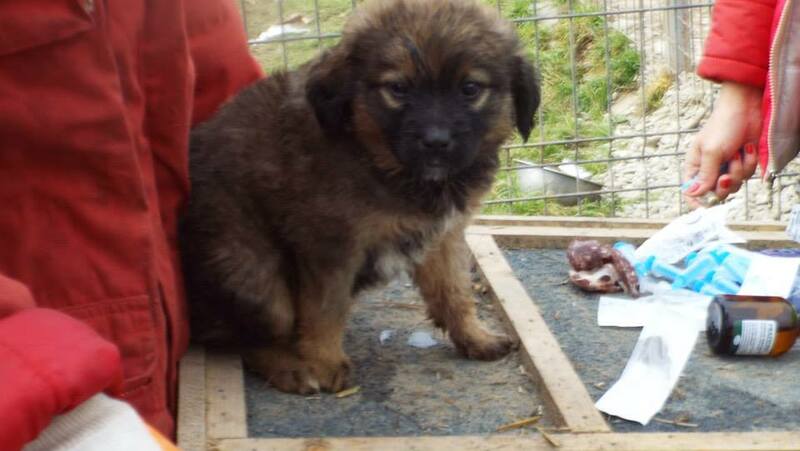 Seeing the torture and abuse of dogs on an almost daily basis can be extremely demoralizing and very depressing. 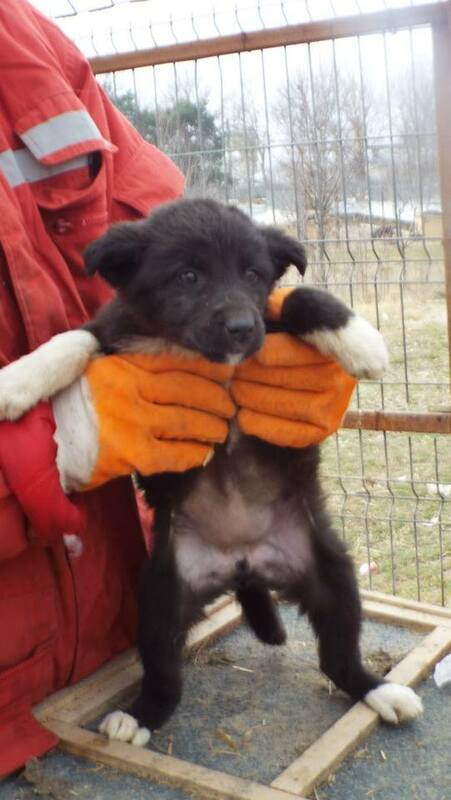 Even if the politicians and the press did not pay attention at the least the animal rescuers in Romania felt strengthened and they knew they were not alone and it gives them hope. It lets them know that they are our heroes and that we are honouring them for their work. 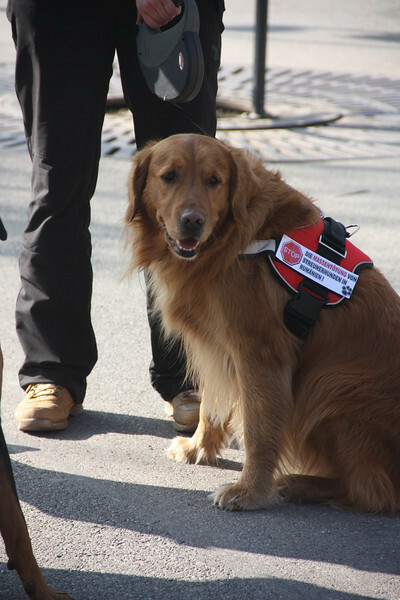 Perhaps though the real heroes though were the dogs themselves. 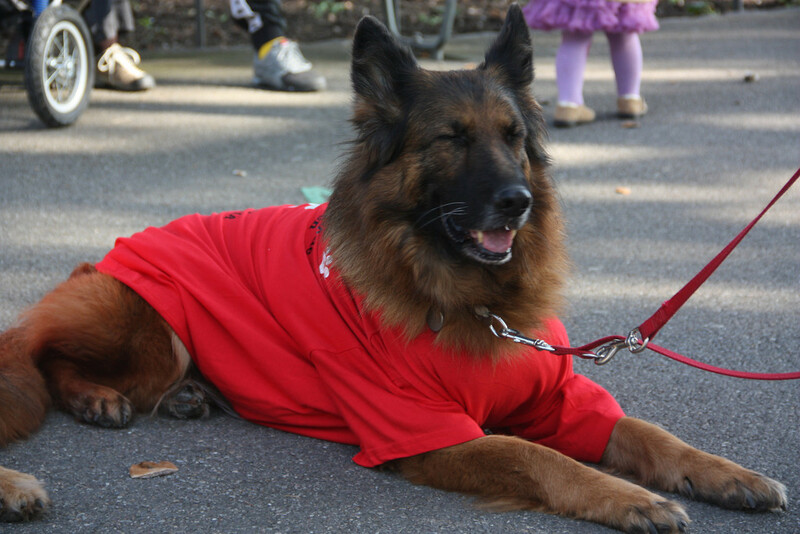 Many dogs also showed their support through wearing red coats and T-shirts – and also by being remarkably well behaved! 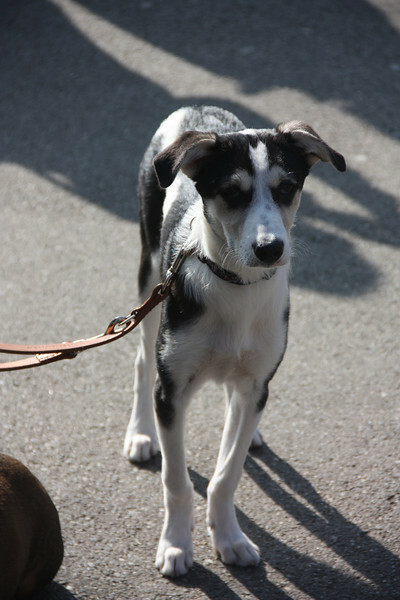 Despite all the dogs of different sizes and temperaments there were no “incidents” or fights. There were then also the survivors. 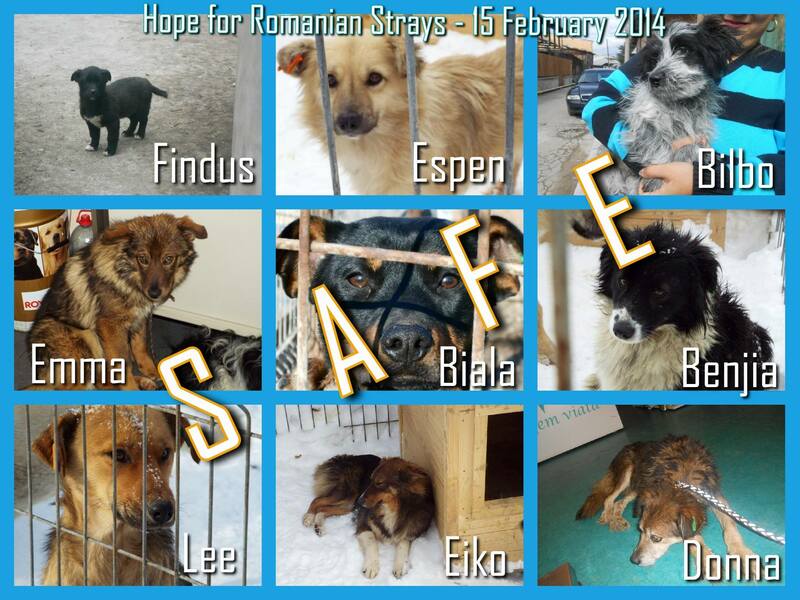 The dogs who had made it out of Romania to safety. 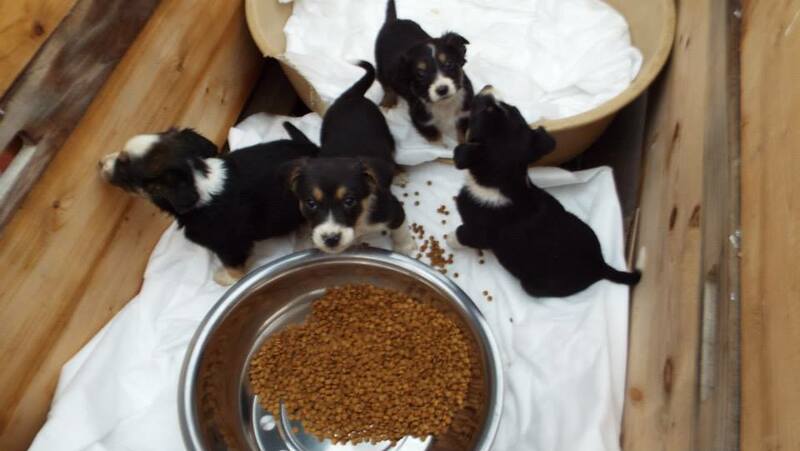 My heart melted and my eyes weld up when I saw them. You could often spot them as they were shyer and more afraid – a hangover from their early life in a country were they are beaten and abused. In my eyes they were the most beautiful dogs there and I would gladly demonstrate for them every day. To see survivors being loved and living free from pain and torment is what drives so many of us and is what brings hope when we think we cannot cope with yet more news and images of death and horror. These precious few that make it to safety are our hope. We will continue to fight to get more dogs out into safe, forever homes and we will continue to demand justice for those that are left behind. 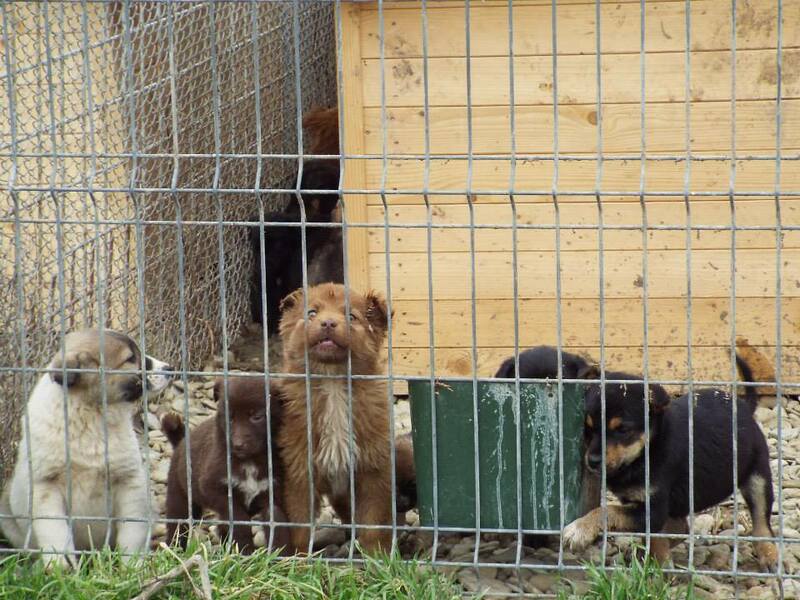 We will continue to demand that the dogs in Romania are treated humanely and with the respect that a living, sentient being deserves. 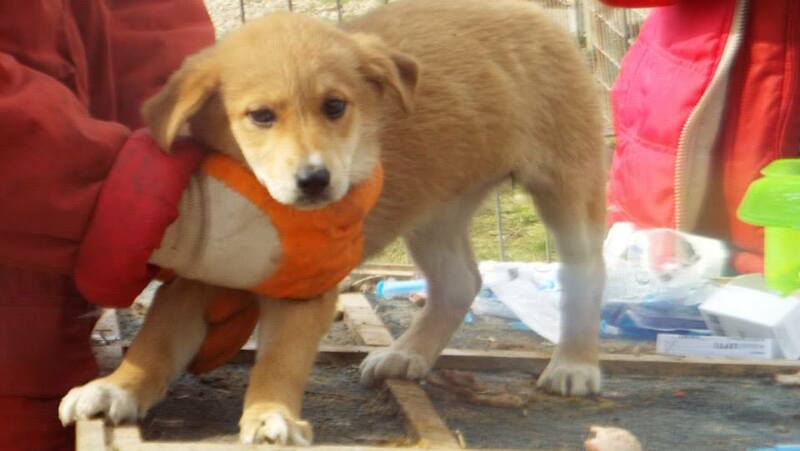 We will continue to demonstrate until the situation in Romania improves. We will be heard. 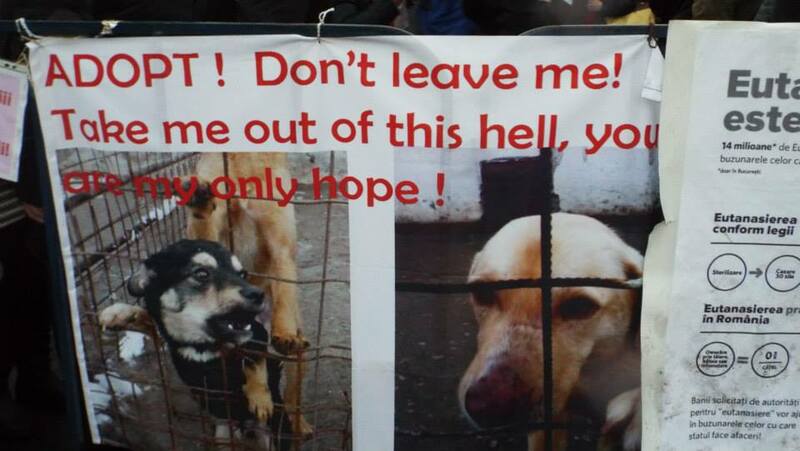 We have to be heard – because the lives of thousands of dogs demand on our voice being heard.